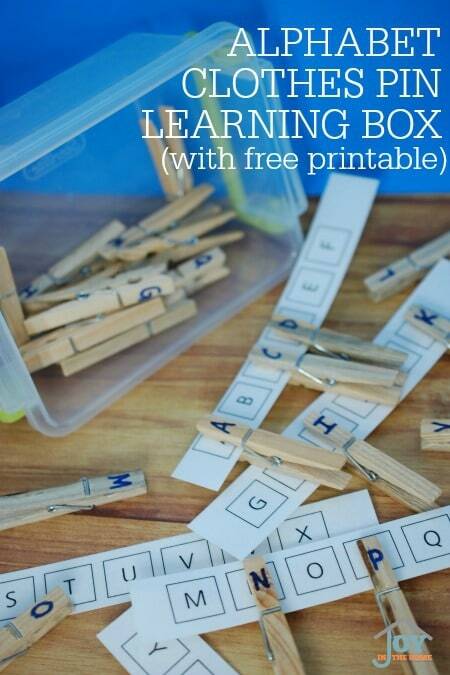 Alphabet clothes pins are a great way to teach letter recognition to your preschooler, through hands-on learning. 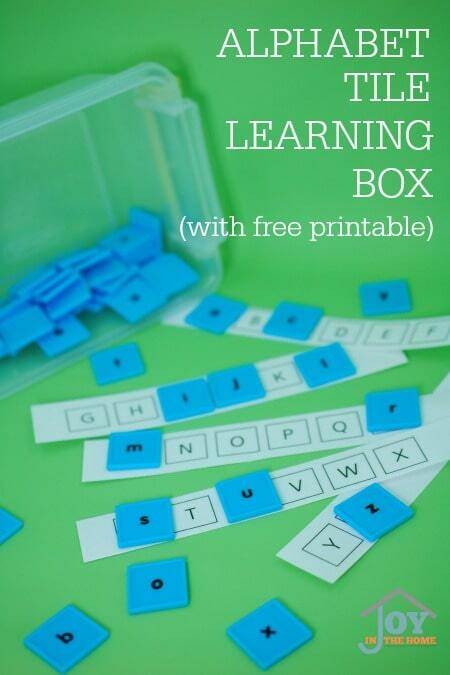 This learning box is easy to put together, and can provide a lot of learning. My preschooler loves working on his hand strength, while matching letters. After you have printed the free ALPHABET STRIPS and ANIMAL STRIPS printables and laminated them for projects, cut them into strips for each use. 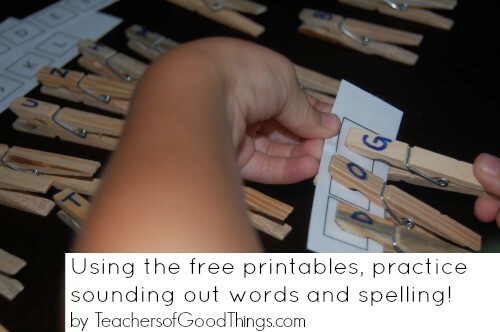 You will need 26 clothes pins (if you don't make any errors like I did when writing a few of the letters) and a permanent marker. 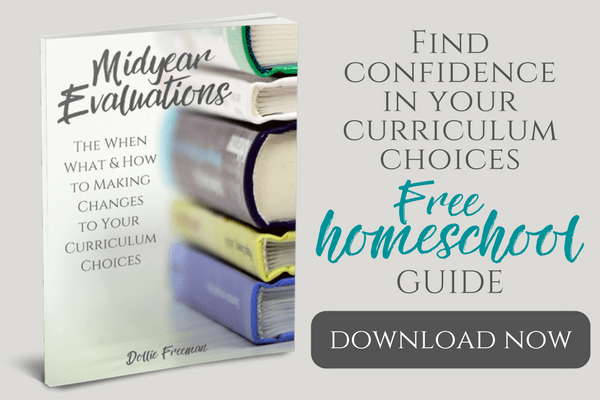 Once your prep work is completed, your child is ready to begin learning through play. 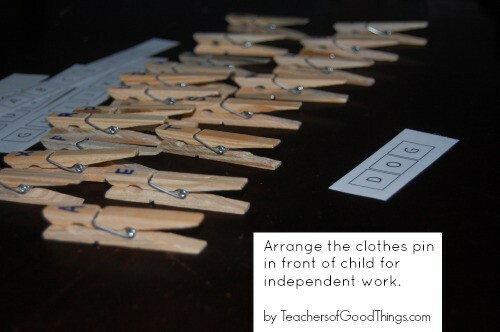 Arrange the clothes pin in front of the child for independent work. Depending on the ability of your child you can help them learn how to open the clothes pin and properly place them on the stripe. My 3 1/2 year old was able to do this after my first demonstration and LOVED it! I placed the strip in front of him that he would need to work on, but allowing them to choose is fun also. Once the child has constructed their strip, you can practice the sounds or spelling of the word… or both! 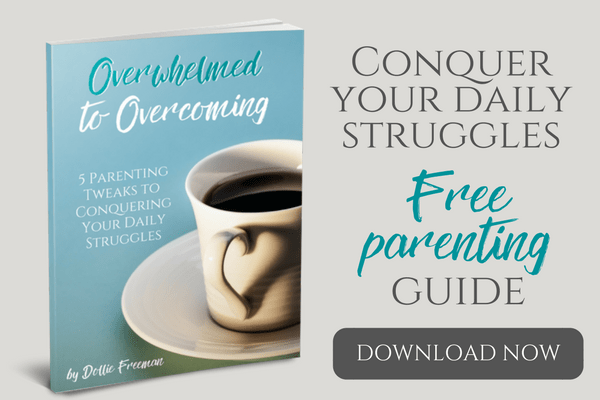 Practice as many strips as the child desires, remembering to check the subscriber sections for new options every month! 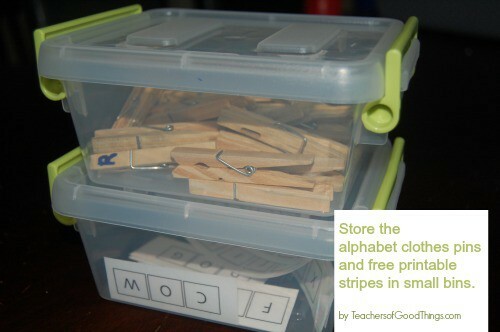 When learning play is done, store the alphabet clothes pins and the strips in small bins for easy storage.